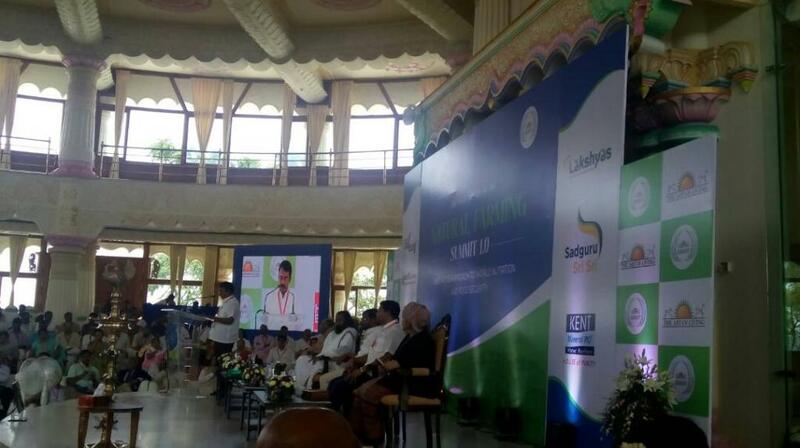 "Spurious inputs and deficit rain are the major reasons why Telangana farmers are suffering," says Rural Development and Panchayat Raj Minister of Telangana, Jupally Krishna Rao while addressing the audience at the Natural Farming Summit 2017 organised by the Sri Sri Institute Agricultural Sciences & Technology Trust (SSIAST) in Bengaluru today. Meanwhile, construction of warehouses is on the government’s agenda so that farmers don’t resort to distress selling and get remunerative price for their produce. "The government has launched community-managed sustainable agriculture (CMSA) to support poor farmers and non-pesticide management practices to reduce expenses and increase income. We are also establishing self-help groups for creating and improving bio-inputs,” says Rao. "While our goal is to transform Telangana into a organic farming state, the task will be difficult without taking organic farming to rural areas and without involving people from all walks of life,” he concluded.